View the handbags and their prices. I love dachshunds (as I'm sure many of you know by now because I keep going on about it on my blog and on twitter) so when spotting these dachshund handbags on the Shelley and Harry website my heart skipped a beat as I gasped in awe of them. My personal favourite is the large black handbag and I like the little clutch as well. 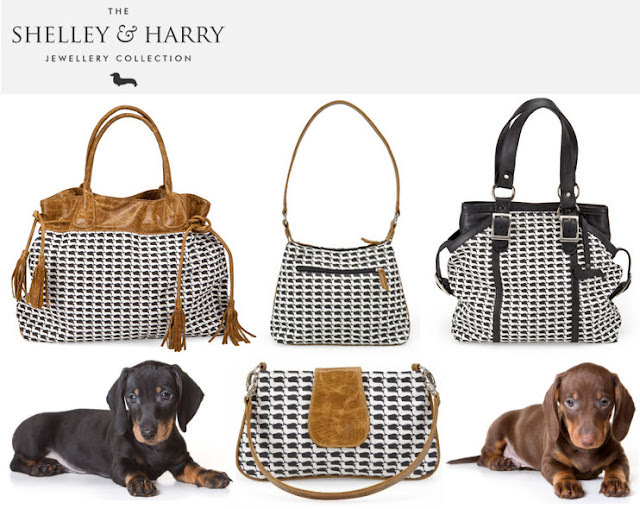 The bags can be purchased online or from the Shelley and Harry store. Follow Shelley and Harry on twitter and facebook. PS. You can read the other posts I did on the Shelley and Harry pieces that I bought here and here. I love these bags, and them cute dogs. These bags all have leather detailing. I would LOVE one of them BUT I can't justify the spend at the moment :P The clutch alone is R800.